Help your mind and body regain balance by getting stress relief with the subliminal messages on this album. Do you spend so much time worrying a lot about financial problems, your job or your family that it creates a lot of stress in your life? Do you get so stressed out just dealing with life's problems you find your body is always tense and it's almost impossible to relax? Do you wish there was a really simple way to manage your stress and to help you unwind? Stress can sneak up on you when you're trying to deal with all the issues that come with living life, but often you don't realize just how stressful your life is until you notice you're unable to calm yourself in times of stress. If left unchecked, stress can literally drain all the energy out of your body and your life. 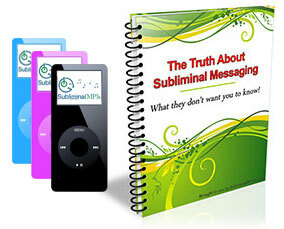 This subliminal album, which also happens to be one of our most popular, can help change all of that by giving you the ability to change how your mind and body reacts to the negative aspects of stress. You will be able to lead a healthier life free from the harmful effects that stress can create. You can play this mp3 whenever you're feeling stressed out, nervous or anxious. It will begin to calm you down and you will notice your are becoming more and more relaxed as you listen and your stresses melt away. In time it will work to help you to manage your stress on an ongoing basis - so that you don’t get so stressed out in the first place.. The subliminal messages recorded on this album were specifically created to address your thoughts about stress and the more you listen the more you will benefit from these messages. This album will send positive and soothing messages that will tell your body to relax and help your muscles and joints to also relax and the messages will also help you dissolve the tension in your body and give you a boost in energy. You will feel your muscles relaxing and become free of stress. The constant worrying about various issues in your life will no longer dominate your thinking. The messages won't make your problems go away, instead you will be able to deal with them without feeling overly stressed. All it takes is a willingness on your part to listen everyday and allow the powerful changes to take place deep within your subconscious. Imagine if you could naturally manage your stress. Imagine yourself in the near future when you can stop panicking over the issues in your life; over finances, home life or your job. They no longer make you feel stressed out, you are able to manage your stress more effectively and this gives you the relief you need to think clearly about what your options are so you can make better decisions and make changes accordingly. See yourself totally relaxed, your body is tension free, your muscles automatically relax and you feel like a weight has been lifted off your shoulders. The relief you experience allows you to unwind from your busy day and reenergize your body as you feel your muscles and joints relax and that feels fantastic. You feel like you can handle anything that comes your way! Imagine yourself finally getting restful sleep at night. The worries of the day no longer have a hold on you because you are able to control and manage your stress and you're able to see life from a brighter point of view. Imagine being calmer and stress free just day to day. Imagine being able to deal with stress much more naturally and to be able to perform to your peak without stress shutting you down. This really is all possible, you can get effective relief from stress with help from this album! Your best days are ahead of you once you begin listening and start creating a new life, a life free from stress.! 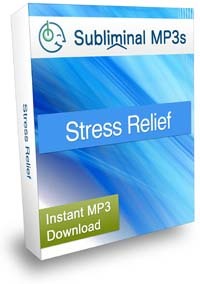 Download this stress relief subliminal album today and finally start enjoying more of your life stress free! We also have two other more specific stress reduction albums you might be interested in, our mind relaxation, and body relaxation albums which specifcally focus on relaxing your mind (racing thoughts) or body (tensions).